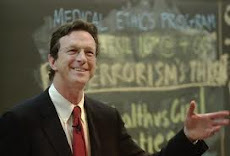 Michael Crichton was 6’9” tall, a fact that was mentioned frequently in articles about him. As an adult, Crichton found being tall made it difficult to hear people speaking to him if he was standing. (New York Times) But meeting Wilt Chamberlain, who at 7’2” topped Crichton by five inches, gave him a different perspective. Great post. He was as complex as he was tall. I find a lot of tall people feel that way. It's an interesting complex.